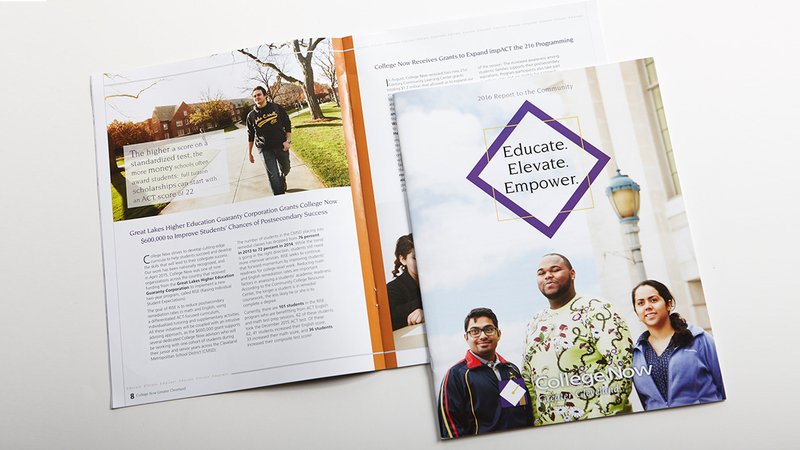 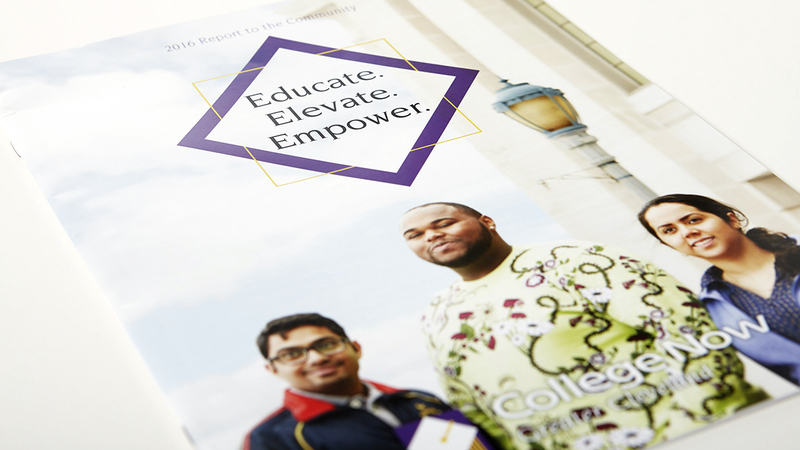 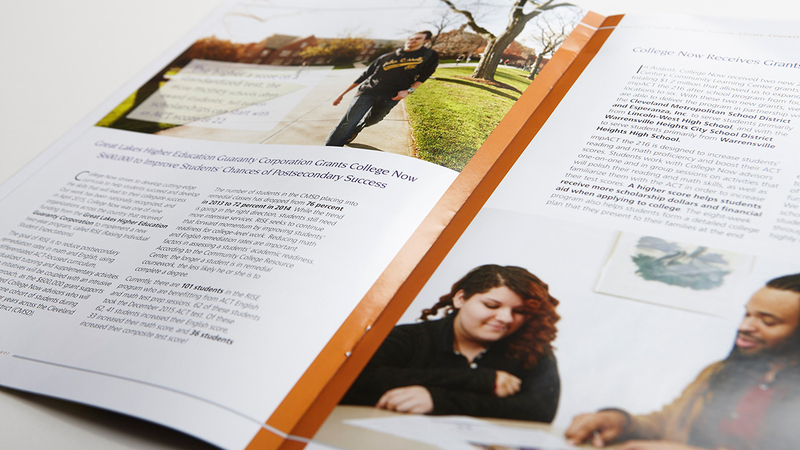 The tagline Educate, Elevate, Empower, for the College Now Greater Cleveland Annual Report, evolved by highlighting the students and their stories throughout the piece. 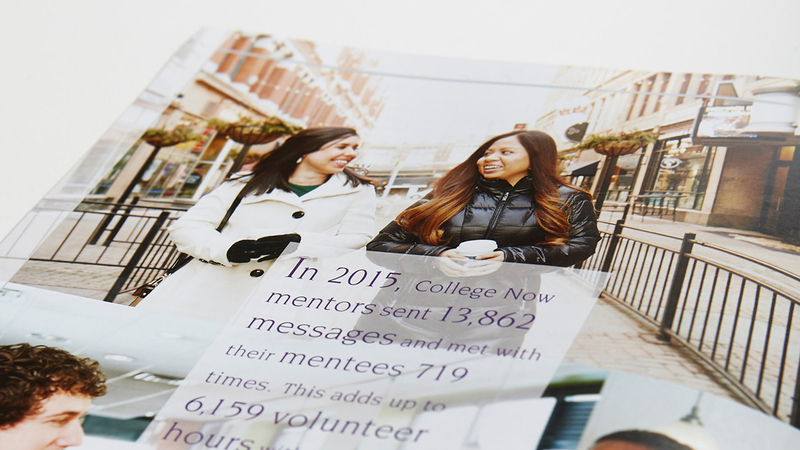 A simple border designer repeats the tagline throughout in a simple and sophisticated treatment. 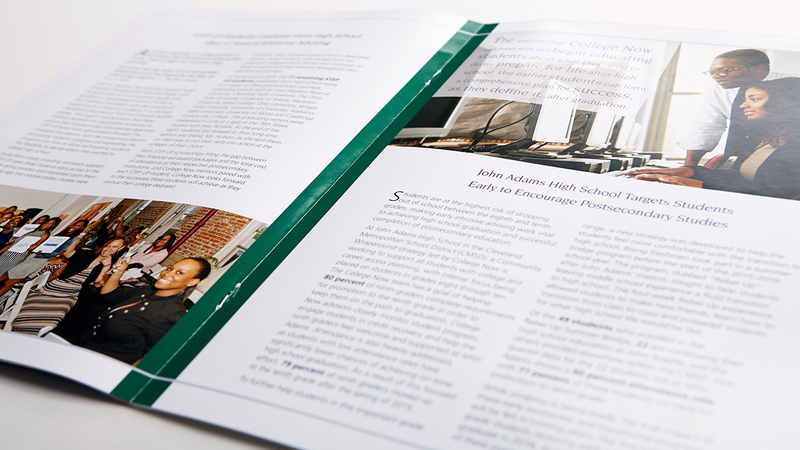 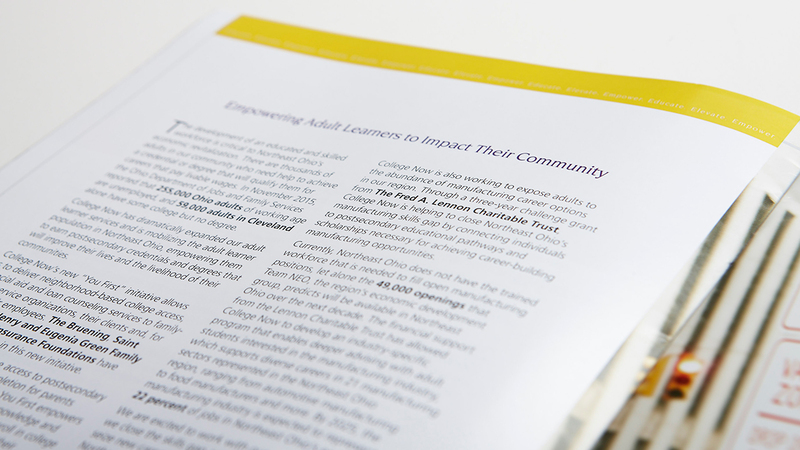 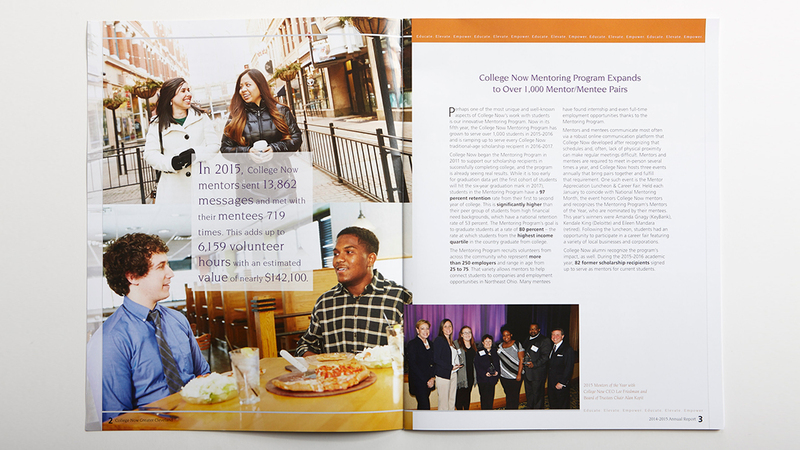 Great photography divides each section of the Annual Report and their donor list wraps it up.